sponsored by LeRoy & Michelle Barnes for their daughter Zahra’s birthday. in honour of Bianca Wiener and Marco Schiavini’s upcoming marriage. 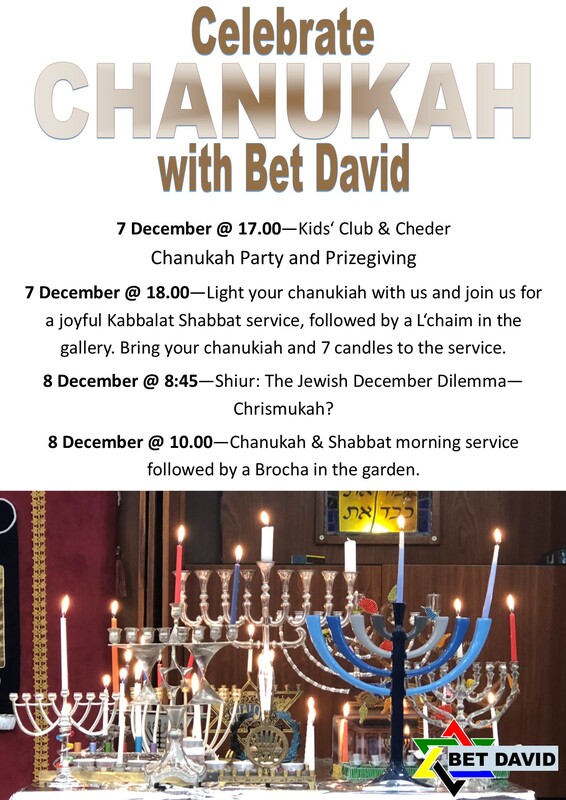 We meet this Friday already at 17:00 for a Chanukah party. We will have latkes, donuts and a lot of fun waiting for you. On Saturday at 10:00, Kani and Deborah have prepared great activities for you, everybody can only dream of.